Save AED 30 (50%) – Earn 3 Shukrans What is Shukran? Shukran is the Landmark Group’s award-winning loyalty programme in the Middle East, which allows you to earn Shukrans when you shop any of our brands. 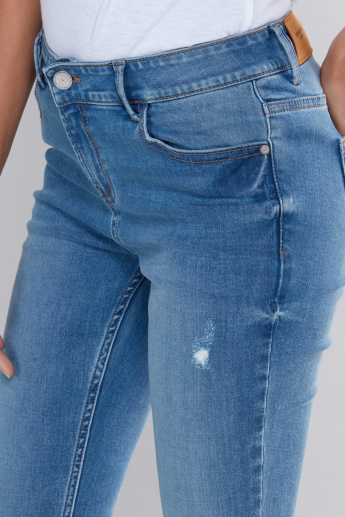 Update your clothing collection with this attractive pair of jeans. It comes with a distressed pattern that adds to the look of the jeans and the pocket detail appends to its utility factor.